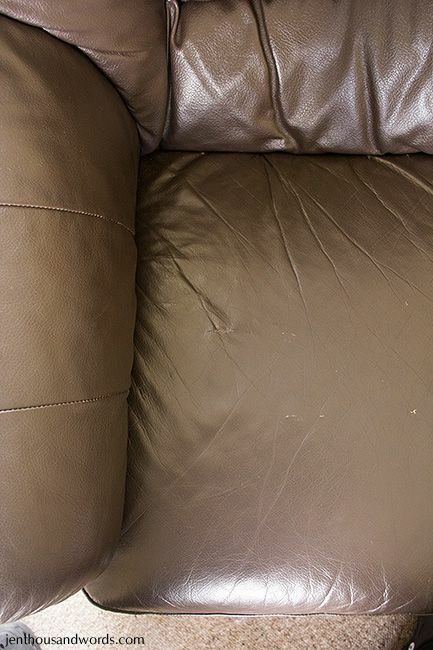 We've had our leather lounge suite for about 10 years now and it's held up so well. 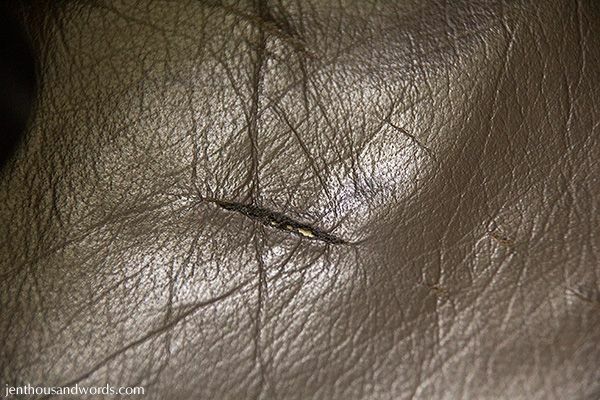 But unfortunately somehow it got scratched on one of the seats and the deep scratch finally split open. 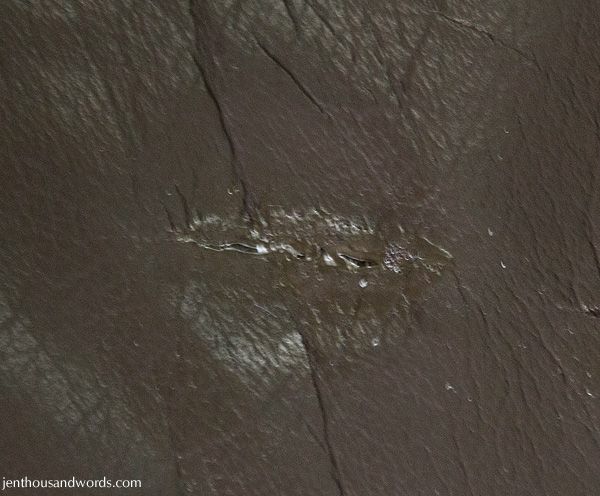 I banned everyone from sitting on that seat until I'd fixed it, as I didn't want it getting worse. 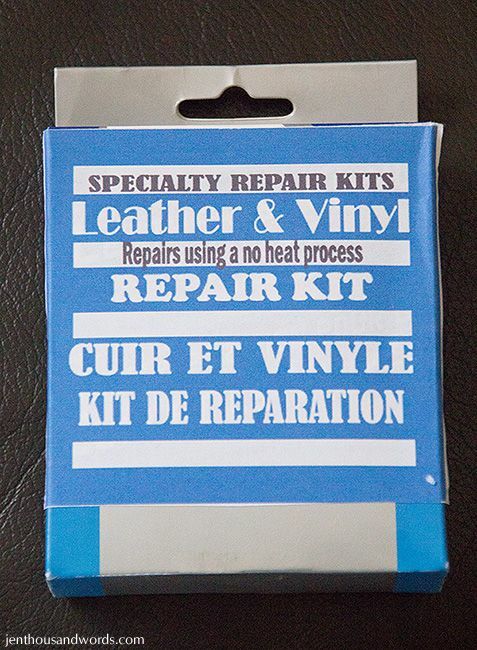 I looked online at various leather repair kits and they seemed to take two forms: either gluing a patch underneath the tear, or smearing some sort of sealant over the tear. 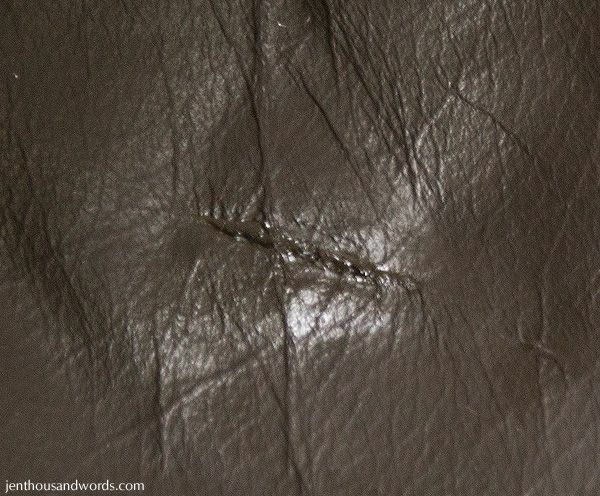 My cousin Di said she'd successfully repaired a tear in a leather sofa by combining the two methods, so that's what I decided to do. 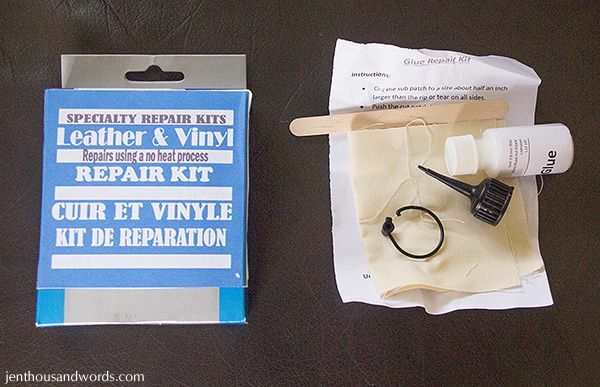 I ordered two inexpensive repair kits on eBay. 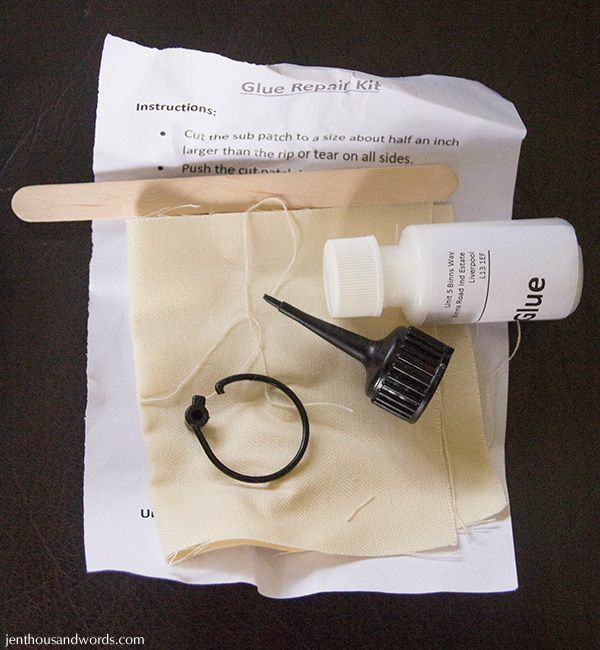 The first kit is basically just a piece of fabric and some glue, to stick underneath the tear. 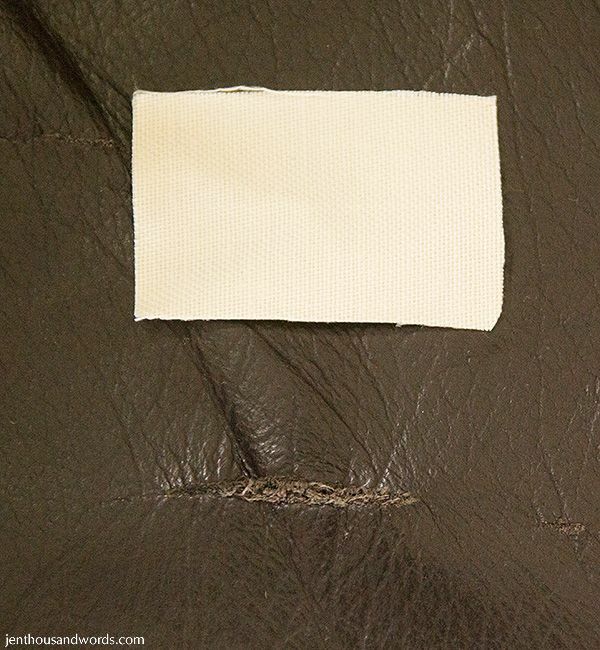 I cut the fabric slightly larger than the tear and then used tweezers to stuff it underneath the tear. 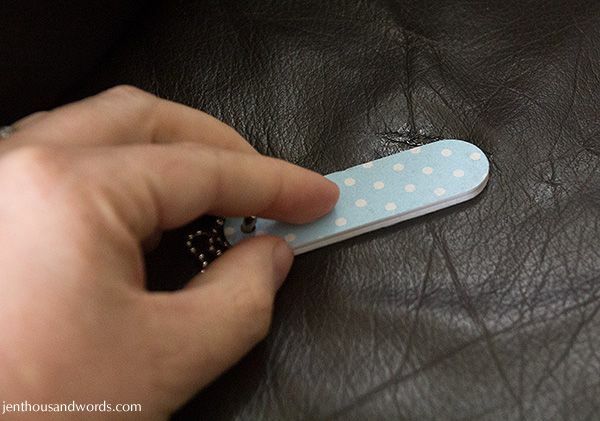 Then I squirted glue all around the edges of the tear. 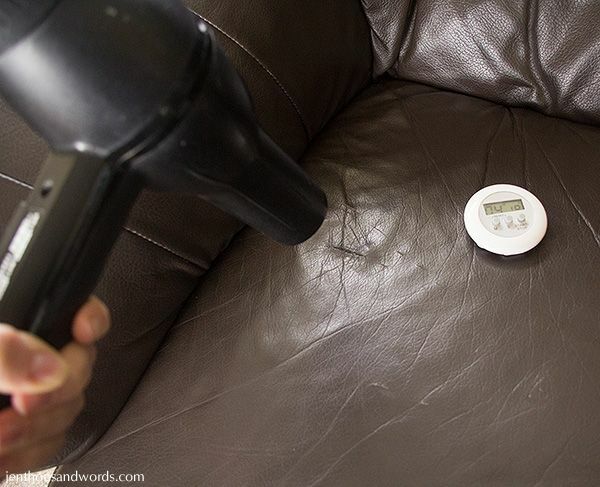 The instructions said to heat with a warm hairdryer for 5 minutes and then leave overnight, so that's what I did. 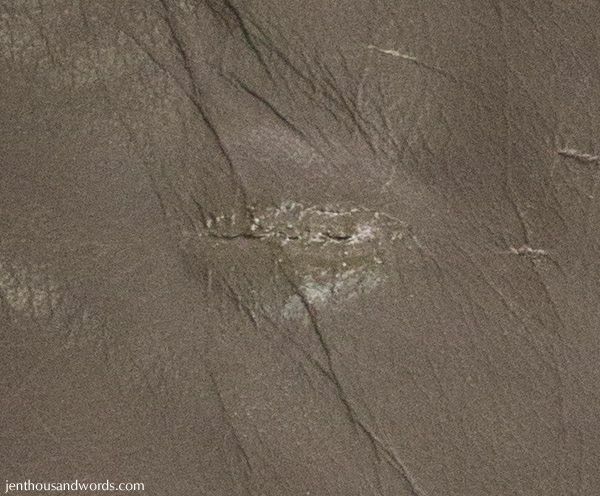 Here's what it looked like the next day - you can just about see the patch through the tear. Then it was on to the second kit. 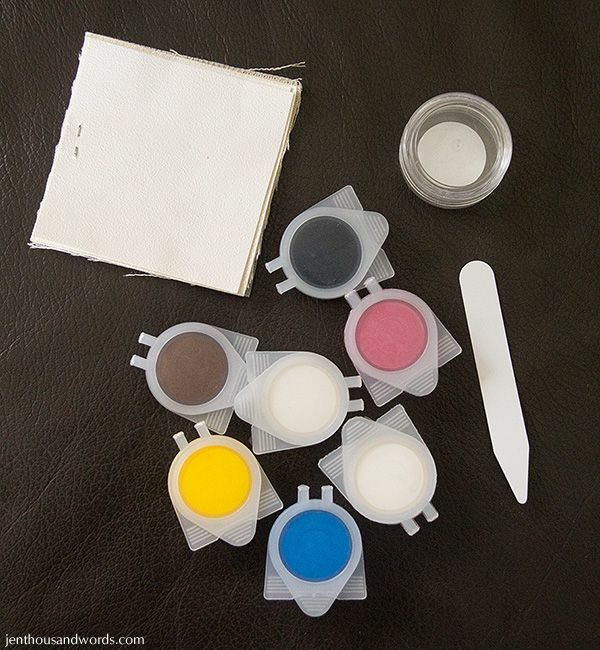 It contained a bunch of little pots of coloured gunk, another empty pot for mixing, a thin plastic tool, and a few squares of things stapled together: practice vinyl, fabric for backing tears, and texture sheets. I mixed my colour directly in the brown pot of gunk. I just added black and loads of pink (?!) to get the right shade, keeping in mind that it would darken slightly on drying. Then I used the plastic tool to smear some into the tear. It was runnier than I'd expected. The next day it had dried and shrunk down. It did look a little shiny though, so I rubbed it with a nail file. You know what? It's really not perfect. Fact is, there was a tear there. 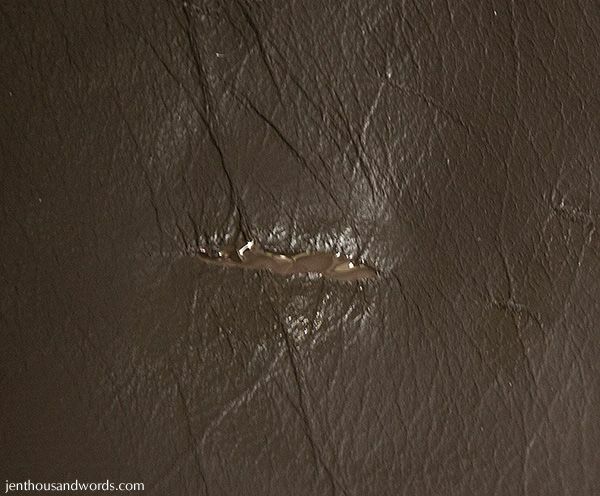 But at least now it's mended and we can use that seat of the couch again. We're pretty happy with that. 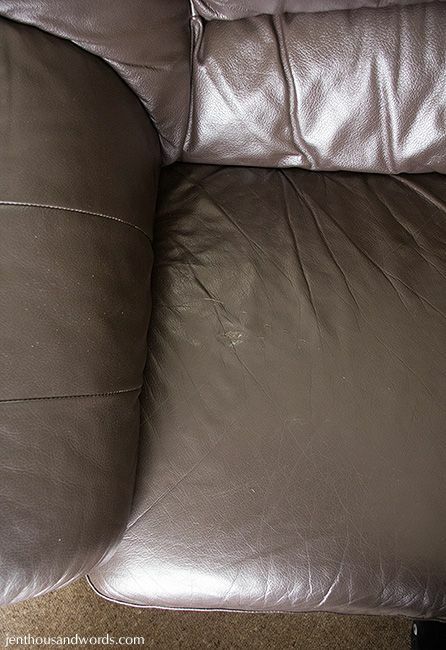 Here's how it looks now - if you knew it was there you'd notice it but most people don't inspect sofas for repairs so it is mostly unnoticeable. Here's a close-up of the above picture. 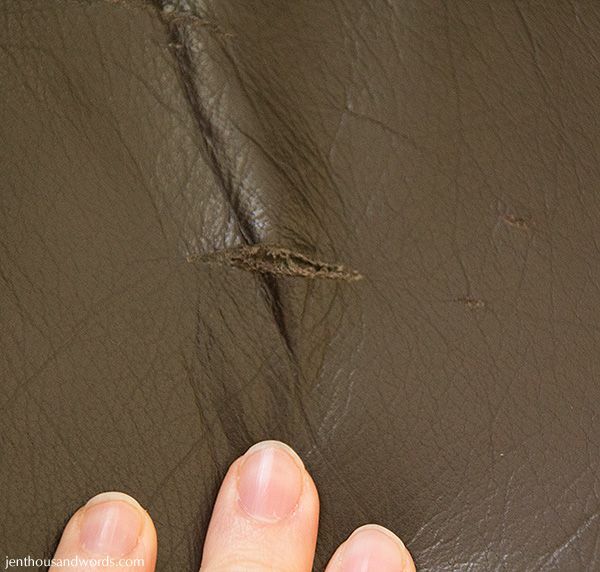 Total cost for mending our couch: $27 (US$22 / £14.50). I can live with that.